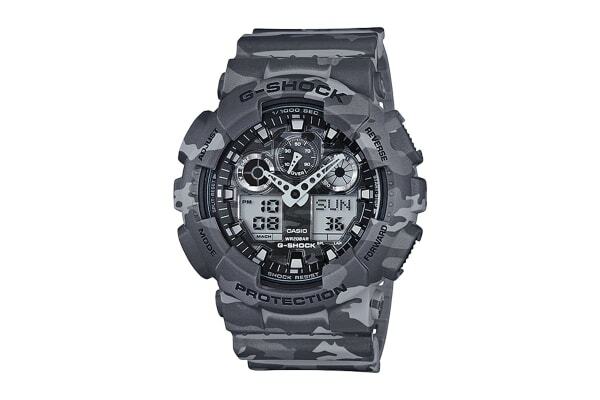 The camouflage Casio G-Shock features a water and shock resistant, bold design perfect for modern fashion. This Casio G-Shock Ana-Digital Watch was created by dressing up the big bold case of GA-100 Series models in popular camouflage patterns. 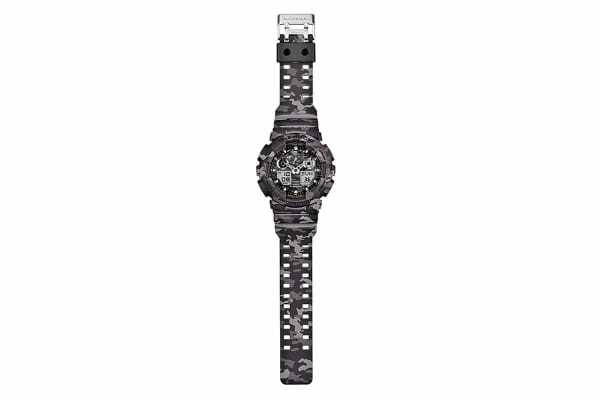 Everything from the case and band, to the face is done in camouflage.This model adopt a woods-and-camouflage motif. 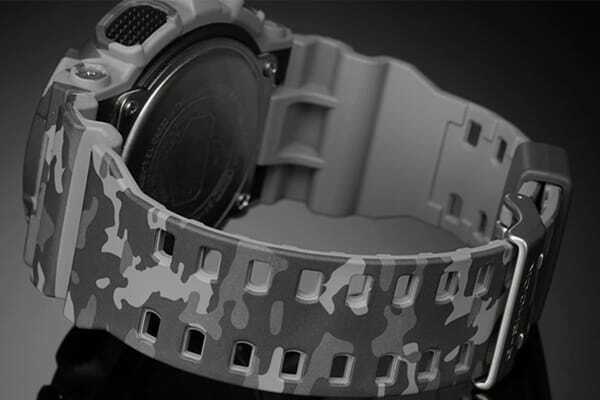 This new camouflage model not only highlight G-SHOCK toughness, it also looks great with today’s casual fashions.